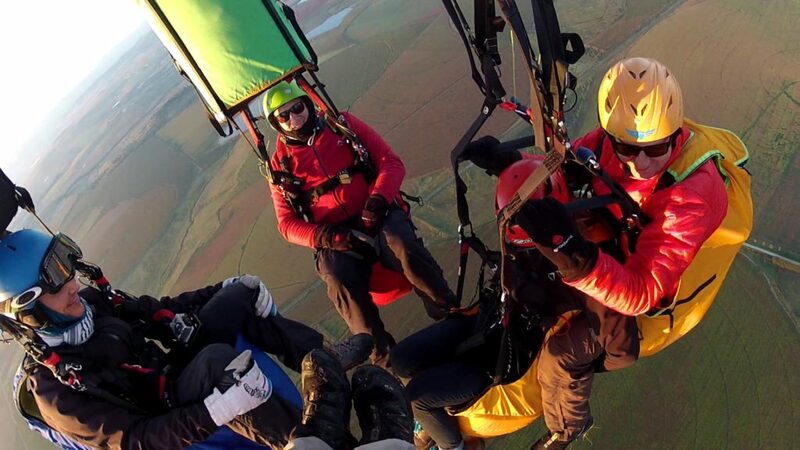 SIV Safety Course – XC Paragliding & Paragliding S.A.
On the weekend of the 26, 27 and 28 October XC Paragliding & Paragliding S.A. together with Chris van Noord and Jaco van Niekerk will be presenting a SIV at Koppies Dam. This is a great opportunity to find out a little more about your wing whilst at the same time building your confidence in your equipment and improving your skill level. Over the three days you will go through the maneuvers specified in the checklist for your sports license, and more. And this at the pace and intensity most suited to you as a pilot. In addition to the air time your evenings will be spent working towards the sports license theory and exam. The plan is to arm you with both theoretical knowledge and practical experience that will make you a more competent and safe pilot. The course is open to sport-licensed pilots or to basic pilots who have a minimum of 120 flights. Everyone must have at least 30 flights on the equipment to be used. Space for two tandem pilots wanting to do their TFI maneuvers has been set aside. Cost per pilot is R4500, which includes a minimum of three tows by boat, and instruction. You will be in constant radio communication with your instructor. There will be a safety boat in the water for all flights. Chalets and rooms are available – more information when you confirm attendance. Your booking will be confirmed once your deposit has been received.